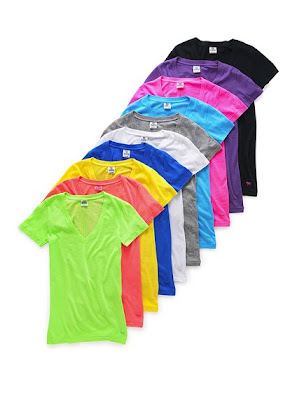 promoting victoria's secret is usually not part of my agenda but these t-shirts are pretty awesome. the fit is great, the fabric is soft and the neon colors are to die for. best part, they're 2 for $24.